Instead of having an active, interactive, attractive, aesthetically appealing, and user-friendly responsive website with perfect video banners, big hero images, eye-catching icons, right call to action buttons, and bold typographies and colors, you may fail to achieve your goals and increase sales and brand engagement- unless you get some digital marketing activities done for your website. You must optimize your website with the targeted keywords, relevant key-phrases and other parallel search terms so that it comes on the SERPs of major search engines (Google, Yahoo and Bing) when people are looking for your nature of business, products, services and others things closely or loosely associated with you or your businesses. To be more precise, the success of a website depends on digital marketing. How it can utilize the various factors and tactics of search marketing, display marketing, social media marketing, affiliate marketing, online marketing and off-line marketing. It helps a website to increase visibility, improve traffic volume and enhance user performance. Without it, the condition of a website would be like a small fish in the Atlantic of World Wide Web. Nobody would get a trace of the website. In order to bring a website to the surface of the World Wide Web, it needs a wide variety of digital marketing activities like SEO (Search Engine Optimization), SMO (Social Media Optimization, PPC (Pay Per Click), SMM (Social Media Marketing which includes SMO, social media ads, sales promotions and other social media marketing mixes), CPC (Cost-Per- Click), ORM (Online Reputation Management), Outbound Email, Email Blast, Teaser campaign, Local SEO, Google carousel, Inbound Lead Nurturing, Mobile Marketing (Mobile Advertising and other mobile marketing mixes), Mobile Advertising (CPM-Cost Per Mile, CPV-Cost Per View, CPC- Cost Per-Click, CPI- Cost Per Install, and CPA- Cost Per Action), SMS Marketing, Google Ad Sense, Video Marketing, RSS Feeds, content writing, etc. In a word, digital marketing includes various activities of search marketing, display marketing, social media marketing, and affiliate marketing to attract both the groups looking or not looking for your nature of business. This is why the importance of it in the present information society (which is moving towards a knowledge society) does not wait for an explanation. 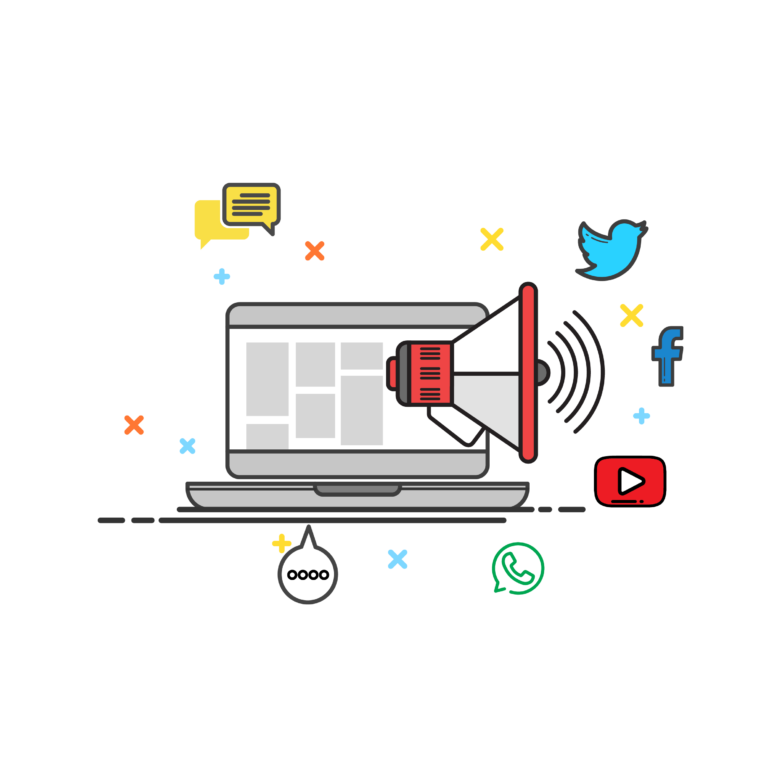 Digital media marketing is getting increasing attention across the globe for its enormous benefits of creating branding identity, marketing promotion and advertising communication without spending significantly for these. It helps a business improve its sales by generating genuine leads and increasing conversation rate to maximize revenue at the bottom of the funnels, irrespective of it is a starter or an established business entity. With aid of digital media campaigns, SMEs can easily compete with MNCs and corporate giants at lower budgets. Businesses can easily reach their targeted audience and target market even crossing the interface of their countries. This helps enterprises create a cutting-edge business model based on customer-generated data achieved through the proliferation of structured and unstructured data created by mobile devices, website browsing, sensors, loyalty card programs, and social media. Precisely speaking, a 360-degree digital marketing approach can have a close look or a wide view of a customer’s journey from a discovery to a purchase through an actionable insight driven from data analysis and other records derived from different analytic, tools, call-to-action buttons, and different touch points. State-of-the-art web marketing strategies can definitely increase organic traffic, develop customer acquisition, widen brand awareness, generate genuine leads, and increase ROI (return on investment) and revenue significantly. A perfectly structured campaign tied with a collaborative process management brings about a satisfactory result in a cost-effective manner. More focus on advanced analytic, visitor recording, heat mapping and A/B split tests help the consultants filter qualified leads at the bottom of their funnels and to respond them on a real time basis. This surely increases the conversation optimization rate notably. Furthermore, modern methods helps advanced business create an ecosystem of SMAC (Social, Mobile, Analytic, and Cloud) in order to improve their business operations and bring them closer to their targeted customers, taking the best advantages of the present SMAC business environment. Now let us come to other the side that strongly establishes the importance of the digital media marketing. There are different media to boost in the five important aspects of the promotional mix. These are sales promotion, advertising, personal selling, direct marketing and publicity or public relations. Print and electronic media (both audio and audio-visual) can target 2-3 three aspects, whereas digital media can cover almost all aspects at a time without spending significantly for these. Needless to say, now SMEs can dare to compete with the big corporate giants. They can easily reach their target market and targeted audience. Moreover, they easily get better ranks than the front running international companies with the aid of SEO and SMO. In comparison to other marketing campaigns like advertising on electronic media and publicity or public relations, an online campaign is much cheaper. On the other hand, indirect marketing campaigns like community relations and involvement in social responsibility programs require a huge amount of money for promotion. To be more price, for very good community relation building a company needs to take the sponsorship of a competition, football tournaments, cricket matches, tennis contests and many like these. In many cases, a company needs to involve in many social responsibility programs like water connection, a hospital set up, electricity supply, etc. These all are highly expensive. Almost all SMEs cannot afford these. This is why online marketing is highly beneficial and more effective for them. In the present business and social milieu, the importance of digital media marketing in a developing country like India does not wait for an explanation. Here a vast majority of the companies are SMEs interested in a lower-budget campaign. For them, online marketing is a perfect choice. It helps them meet their goals within their budgets. This is why India has a very good market of digital marketing. Moreover, with a vision to “transform India into a digitally empowered society and knowledge economy” an important initiative under the name of digital India (a flagship program) has been taken by the Government of India. It focuses on three important things digital infrastructure, electronic governance or e-Governance, and digital empowerment. All these encourage the enormous practices of digital marketing. Kerala, a state on India’s tropical Malabar Coast, has the highest literacy rate. Therefore, it is much expected that the state must have the great involvement and active participation for the righteous decentralization and implementation of this flagship program taken by the Government of India. In reality, the state has been doing much more than the expectation. Consequently, digital marketing has received the paramount interest from almost all classes and clusters in Kerala. This is why the importance of the digital media marketing in Kerala does not wait for further explanation. The state has attached itself so closely to the program that many organizations and companies have come forward to form a school or digital marketing agency in Kerala in order to offer education and services respectively. 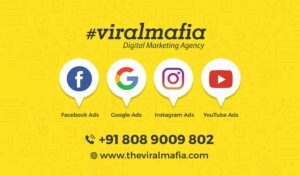 There are many digital marketing agencies in Calicut, Cochin, Trivandrum, Thrissur, Kottayam, Ernakulam, and Infoparks, offering a wide range of services on SEO, SMO, SEM, ORM, SMM, PPC, CPC, etc. Blending state-of-the-art technologies with cutting-edge methodologies, they offer end-to-end services and cutting-edge education solutions all over India and across the globe. Many 360-degree digital marketing agencies in Kerala working as third party vendors or reliable IT partners for many offshore companies. Lower prices, quality solutions and on time ranking on the SERPs have empowered them to receive high acclamation, 100% customer satisfaction and 99% repeat customers from across the globe. White hat SEO methods for bringing organic traffic and ensuring organic results featured even in the carousel. Create an ecosystem of SMAC in order to improve your business operations and bring you closer to the customers, taking the best advantage of the present SMAC business environment. Drive consistent and predictable results by focused, coordinated, and synergized actions. With the aid of various advanced tools and cutting-edge analytics, digital marketing agencies in Kerala analyze the executions and drive out meaningful activities to ensure optimal results through meaningful insights and well-informed steps. The engagement strategies, technical expertise and ability to draw actionable insights from data help the digital marketing agencies in Kerala stand out from the crowd. 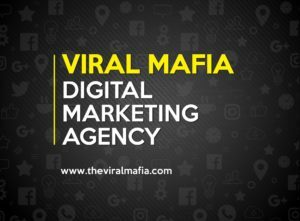 Viral Mafia is one of the leading digital marketing agency in Kerala. 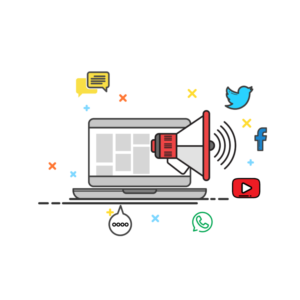 We offer a wide variety of digital marketing services which includes Social media management, SEO,Online advertising,Branding. Hey! This is my first visit to your blog! We are a team of volunteers and starting a new project in a community in the same niche. Your blog provided us valuable information to work on. You have done a wonderful job! Great post. I used to be checking continuously this blog and I’m inspired! Extremely useful information specially the final part 🙂 I take care of such info a lot. I was looking for this particular info for a long time. Thank you and good luck. Great website. Lots of helpful info here. I am sending it to several friends ans also sharing in delicious. And obviously, thanks for your effort! I am now not certain where you are getting your info, but good topic. I must spend some time learning much more or figuring out more. Thanks for fantastic info I was looking for this information for my mission. How Does SEO Audit Help A Website To Rank In SERPs?